Debt collectors excel at taking advantage of student loan borrowers by misrepresenting the law and options available to borrowers. 5) Requiring “good faith” payments before borrowers can “apply” for rehabilitation. 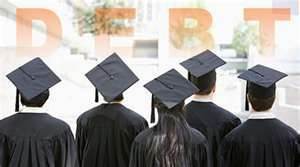 Attorneys well versed in the various student loan programs and available options can assist a borrower in avoiding default, getting out of default and finally arranging for an affordable payment with forgiveness of the remainder of the principal balance. These attorneys often fund a part of their practice of helping students by suing debt collectors for violations. Here in Florida for instance, we believe it is a violation of the Florida Consumer Collections Practices Act, the Florida Unfair and Deceptive Trade Practices Act and also the Fair Debt Collection Practices Act to misrepresent payment options or assert a legal right that does not exist. To determine if you have been a victim of improper debt collection by a student loan debt collector, please call Christie D. Arkovich. Also please see our Student Loan Survial Center and how we can help.